Hard to read? Click it for a larger view. Still not great but whaddya want fer nuttin’, r-r-r-r-rubbah biscuits? 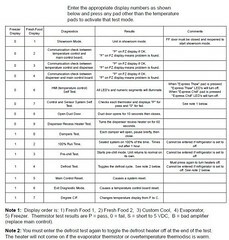 This entry was posted in Refrigerator Repair on May 16, 2009 by Samurai Appliance Repair Man.